This was taken in Palmyra. The name for the foto comes from the demonstration our guide gave us (not to mention the play on words from classical apologetics). He took a spoon, lodged it at the bottom of the pillar and pushed on the pillar. The spoon moved, showing movement in the pillar. I also uploaded some more fotos to my flickr page. 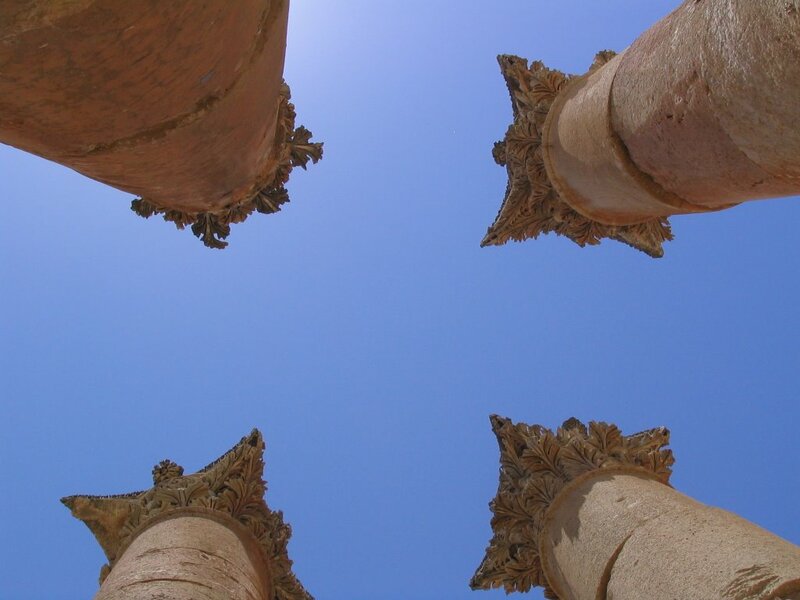 The new ones are under the Ba’albek & Palmyra set (you will find that on the right sidebar). I would have made a separate set, but I have the free flickr account and am only allowed three sets. Oh, the bane of saving money…Rather, not having it. See also joethorn, Steve McCoy, Alex Forrest, and Kevin Cawley. I’ve started doing it as well. Hopefully I can get in with you cool guys. 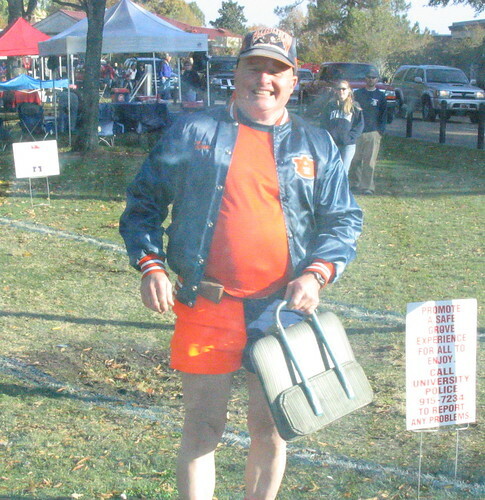 THE Auburn Fan, originally uploaded by Matthew Wireman. 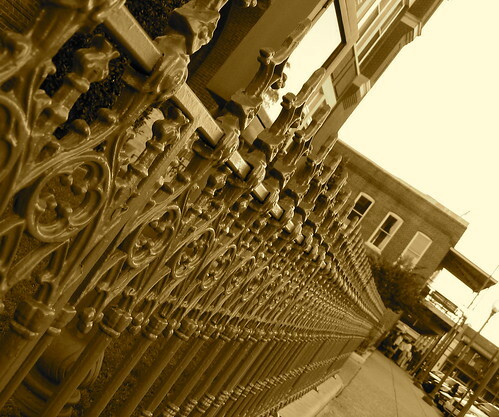 Oxford Fence, originally uploaded by Matthew Wireman. My contribution to Friday Foto is not as artistic as it is unbelievable. Whenever I go to football games (which is not a lot, mind you) I am astounded by the gung-ho fan who dresses up like an idiot, or paints himself to show his support. Maybe it is a disregard to people around them. Perhaps it is a genuine act of worship equivalent to self-flagellation. This fellow was extremely nice and has his own taxidermy & massage business. Pretty wild. This was taken from the Ole Miss v. Auburn game my wife and I went to a few weeks ago with some friends. The second foto is of downtown Oxford, MS. Beautiful and a fun pasttime after the ball game. For all those who followed my link from the old blog…welcome. I hope you enjoy this site better. To the left, you will find different categories I have written on. To the right, helpful links and a running tab on who comments (to facilitate discussion). The tabs above will take you to info “About” me and “Resources” I think will be helpful. Both links are kind of living documents. I will be adding and taking away as life changes. For now, I hope you enjoy a couple of fotos I took this summer. If you would like to see more, you can visit my flickr site. 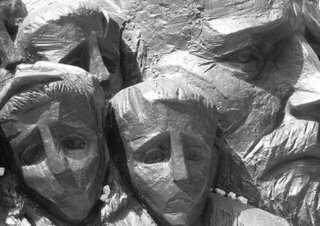 This is a monument in the Holocaust Memorial in Jerusalem. The museum has just opened and I would highly recommend going if you have about 6-8 hours. Make a day out of it. I was extremely sobered by the history and film footage.